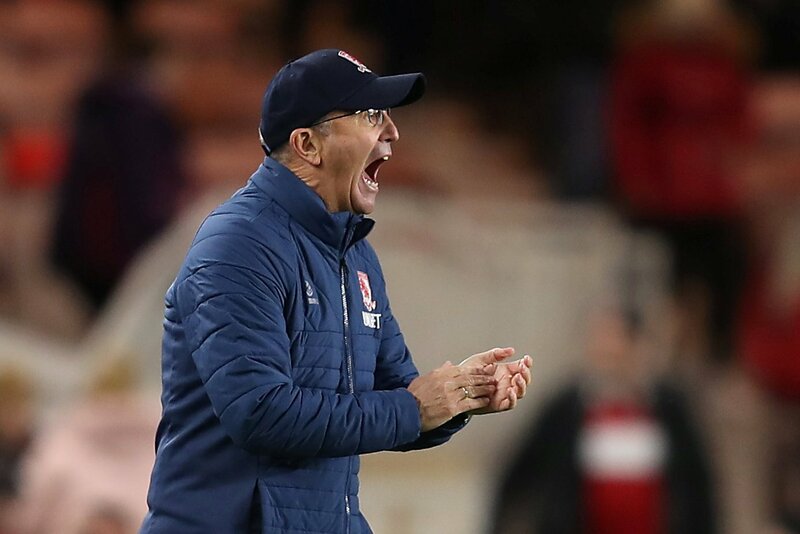 Middlesbrough manager Tony Pulis has admitted that Leeds United have “got everything you need to get promoted” after drawing 1-1 with Marcelo Bielsa’s on Saturday afternoon, after speaking to the Teesside Gazette. The two sides battled well and put in a very good display, as both teams looked to gain an invaluable three points at the top end of the Sky Bet Championship table. Lewis Wing put Boro ahead just after half time, but with 11 minutes added on due to Jack Clarke falling ill on the Leeds bench, the Whites clinched a winner deep into injury time thanks to Kalvin Phillips. After the game, Pulis admitted that Leeds have got “everything you need” to secure promotion to the Premier League. “Leeds have got good players, they’ve got everything you need to get promoted, they’ve got pace in the right areas, their dead ball play, their free-kicks and corner, set-plays, deliver real quality into the box. I’ve been really impressed with Leeds this year. The result at the Riverside leaves three points clear of 3rd position and one point clear of Norwich City, but the Canaries have the opportunity to leapfrog Bielsa’s me with a win over arch rivals Ipswich Town on Sunday. Boro sit 5th in the Sky Bet Championship table, six points off the automatic promotion places despite going unbeaten in their last six league outings. You can say what you want about Leeds United, but there is no denying their spirit and character and just their sheer determination to pick up points. I agree with Pulis – Leeds have everything you need if you want to get promoted, and although they have been shaky recently, they are still in a very promising position heading into the business end of the season. It’s going to be so tight come the end of the season, but I think they have enough to get promoted.